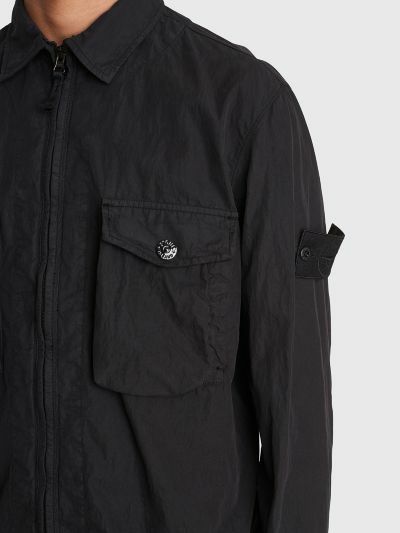 Overshirt from Stone Island. 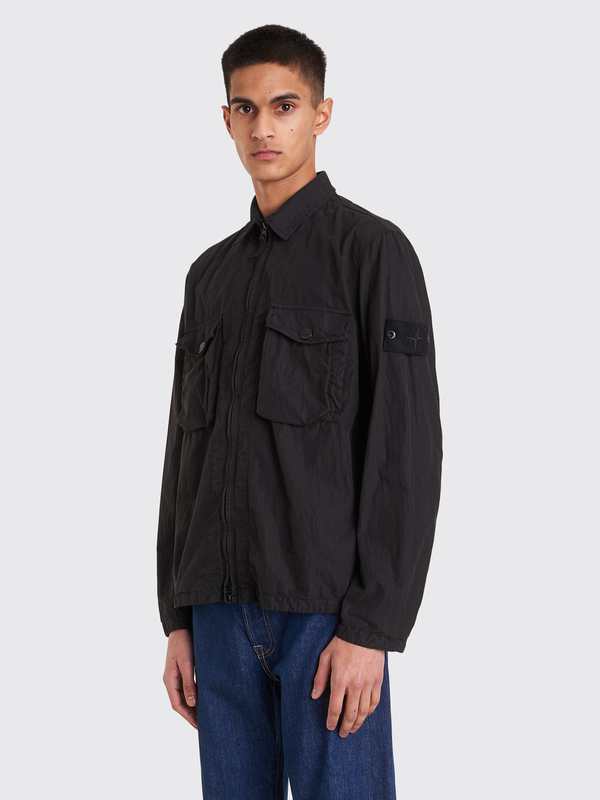 This shirt is a Ghost piece made in a totally monochromatic colorway including the logo patch. 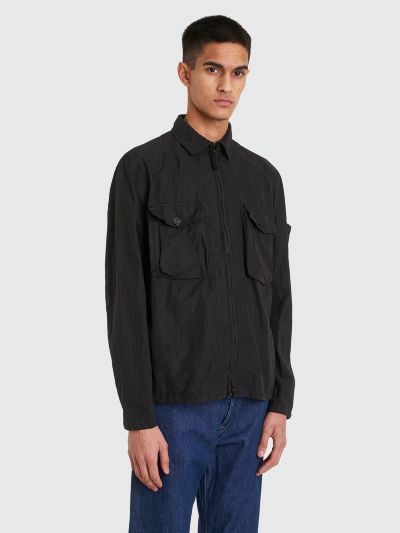 Features a regular collar, two flapped and buttoned bellow pockets with side openings as well, two-way zip closure on the front and adjustable cuffs. 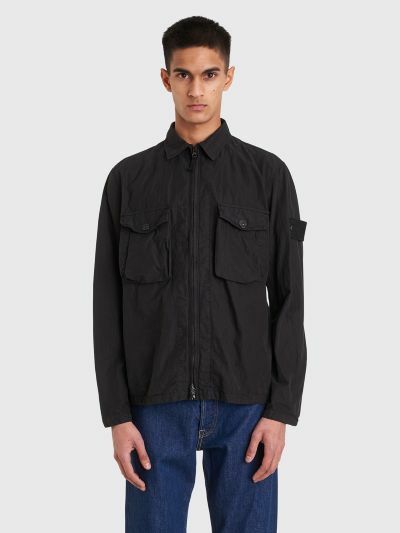 Black overshirt. 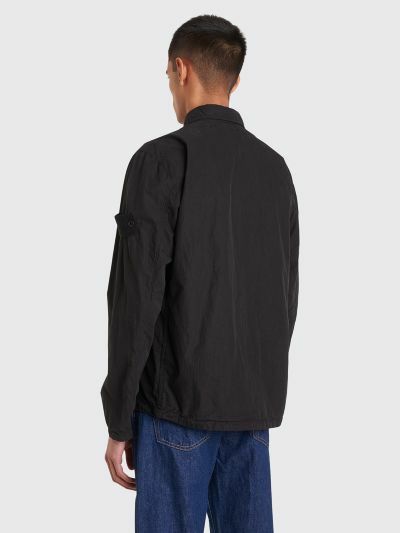 Made from 70% cotton and 30% polyamide.